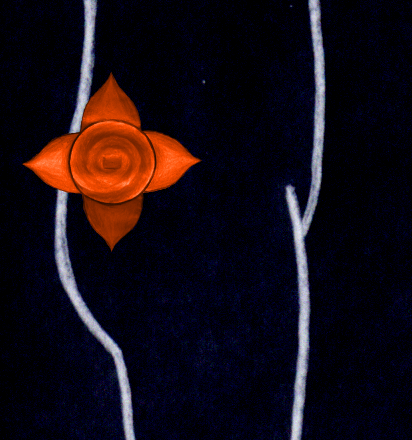 The lowest chakra is the Muladhara Chakra or Root Chakra. It is the seat of creative energy in the human being. In its lowest manifestation, this creative energy is sexual driving force, but if refined, it is transformed into artistic intuition, into love and finally into cosmic love in its highest manifestation, being one with Shiva (in the Sahasrara). In yoga, this creative energy is called Kundalini; represented as serpent or goddess (or Dakini/ fairy). In the Muladhara, Kundalini is still asleep regarding her magical and spiritual potential. In three and a half coils, she is twined around the Shiva Linga, symbol of potency (here – but Shiva Linga can mean a lot more in other contexts). The first knot of Ida and Pingala can also be found in the Muladhara (‘knot’ means that Ida and Pingala cross the Sushumna/ spine). This crossing point is called Brahma Granthi (‘knot of Brahma’) or Mukta Triveni, the spring of the inner equivalents of the rivers Ganges, Yamuna and Sarasvati (mythological names of the three Nadis Ida, Pingala and Sushumna). These three Nadis are crossing each other again in the Anahata and the Ajna Chakra. The Muladhara is associated with the colour red and with the element earth. 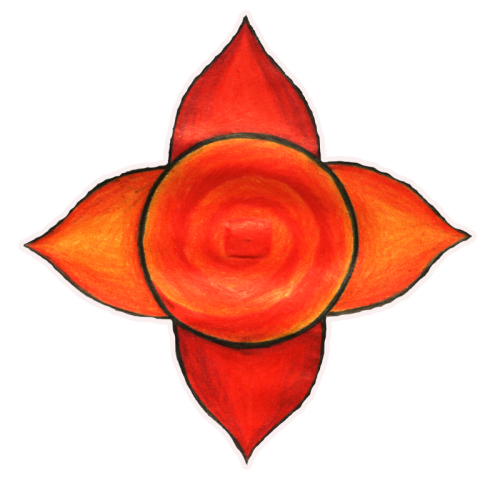 Note that the exact location of the Muladhara Chakra (and any chakra) may vary a bit individually. In the orthodox teachings, it lies directly at the perineum. However, there seem to be several other chakras close to the root chakra. A ‘second’ Muladhara that was very strongly active in my energetic body lies more or less exactly at the coccyx bone. 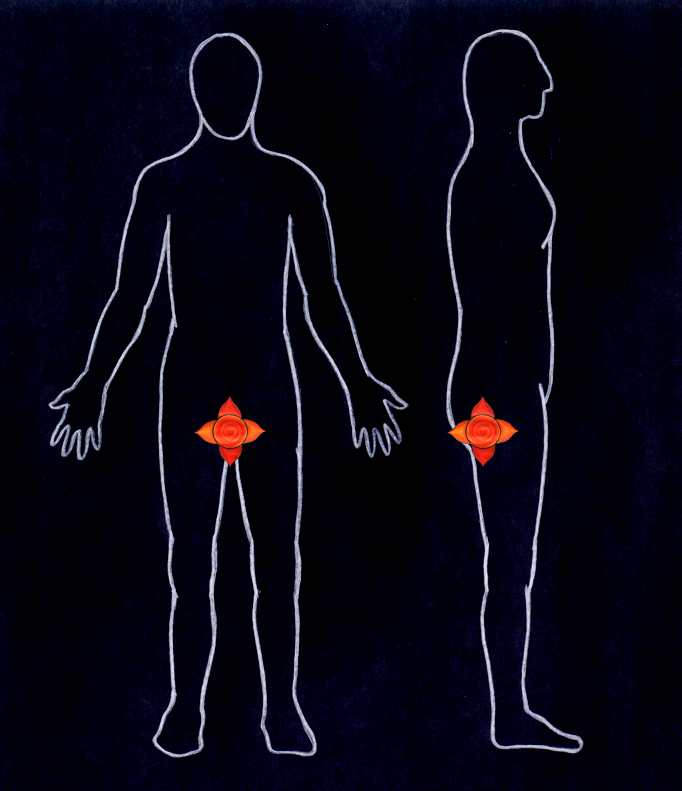 This chakra is also described by Kheper (see Kheper - Chakras - Coccygeal) and there it is called the Coccygeal Chakra. It seems to be of minor importance there. However, when I had energetic Kundalini activities, it actually sometimes ascended from the ‘orthodox’ Muladhara Chakra at the perineum, but very often also from this Coccygeal Muladhara Chakra, which is why I think that it is not just a chakra of minor importance – at least not in my case. Therefore, I guess this can vary individually.